After reading my last post on ‘Other scriptures’ and devotees a kind-hearted vaishnava read me amazing lines, written by Srila Bhaktivinoda Thakura, on how a devotee should see different religions. I am sharing the same below. Although human nature is the same everywhere, people living in different nations and on different continents acquire different secondary characteristics. It is impossible to find two people living in the world who have exactly the same secondary nature. Even two brothers born from the same womb will differ in appearance and personality, what to speak of people born in separate countries. In different regions, things such as the locations of bodies of water, air currents, mountains and forests, and the availability of foodstuffs and clothing all vary. Consequently, differences naturally occur in people’s appearance, social status, occupation, and style of dressing and eating. Each nationality has a peculiar disposition of mind, and thus various conceptions of the Supreme Lord, although the same in essence, appear superficially dissimilar. As people in different places rise above their aboriginal condition and gradually develop culture, science, law, and devotion to God, their means of worship also diverge in terms of language, costume, kinds of offerings, and mental attitudes. Considering all these secondary differences impartially, however, we find no discrepancy. As long as the object of worship is the same, there is no harm. Therefore Lord Caitanya has specifically ordered that we should execute our own service to the Supreme Lord in the mode of pure goodness and at the same time refrain from ridiculing the religious codes of others. (5) different names and terminologies resulting from differences in language. Because of the variety of spiritual authorities, in some places people honor the Vedic sages, in others they revere the prophets led by Muhammed, and in still other regions they esteem the religious personalities who follow Jesus. Similarly, in each locality many different men of knowledge are shown particular respect. Each community should, of course, properly honor its own spiritual masters, but simply for the sake of gaining followers, no one should try to establish that the instructions given by one’s own local spiritual master are better than the instructions of spiritual masters everywhere else. The propagation of such an antagonistic position would certainly be inauspicious for the world. A devotee’s prescribed ritual of worship varies according to his mentality and devotional feeling. In some places the mode of worship is to seat oneself in a sacred place and practice renunciation and breath control. In another place worship is performed by falling down five times during the day and evening even if caught unprepared to offer obeisances facing the direction of the chief shrine. And elsewhere worshipers kneel down, either in the temple or at home, and with folded hands declare their own fallen condition and the glories of the Lord. Each of these types of worship also differs in the matter of what to wear, whether and how to eat, what is clean or unclean, and so forth. Furthermore, the sentiment and behavior toward the worshipable object vary among religions. Some worshipers, whose consciousness is saturated with devotion, set up a Deity of the Supreme Lord in their heart, in their mind, or in the outside world, with the understanding that it is non-different from the Lord. In other processes, which are inclined more toward logical argument, a conception of the Lord is formed within the mind and worshiped; external images are not accepted. Actually, however, all of these Deities are factual representations. In accordance with language differences, the Lord is called by various names. Different names are also given to the religious systems, and there are different terminologies for use during worship. So what should be the approach of a devotee? Those who do not behave in this way, but who exhibit malice, envy, or ridicule toward other religious processes, certainly deviate from true religion due to a lack of intelligence. If such people actually loved their own Supreme Lord, they would not be attracted to such useless disputes. On the other hand, although it is nonsensical to ridicule other religious practices, if we notice some genuine fault, we should never tolerate it. Rather, we should make every effort to uproot it by proper means and thus benefit the deluded practitioners. For this reason, Lord Caitanya Mahaprabhu argued with the Buddhists, Jains, and Mayavadis and brought them to the true path. All devotees of the Lord should follow the example of Sri Caitanya Mahaprabhu and reject all so-called religious systems containing the unwanted elements of atheism, agnosticism, materialism, disbelief in the existence of the spirit soul (which amounts to the idea that working for the body is all in all), hedonism, and impersonalism. Devotees should know that these systems are unauthorized, deceptive, and only dim reflections of and sometimes completely against the principles of real religion. Actually, followers of these fraudulent processes are pitiable. According to their ability, devotees should make every effort to protect people in general from all these evils. Pure, unalloyed love of God is the actual eternal religion of the spirit soul. Thus, in spite of the above-mentioned five kinds of distinctions among religious systems, we should recognize as genuine any religious process whose goal is the realization of pure love of God. It is useless to quarrel over superficial differences. If the goal of a process is pure, then the system is fully auspicious. 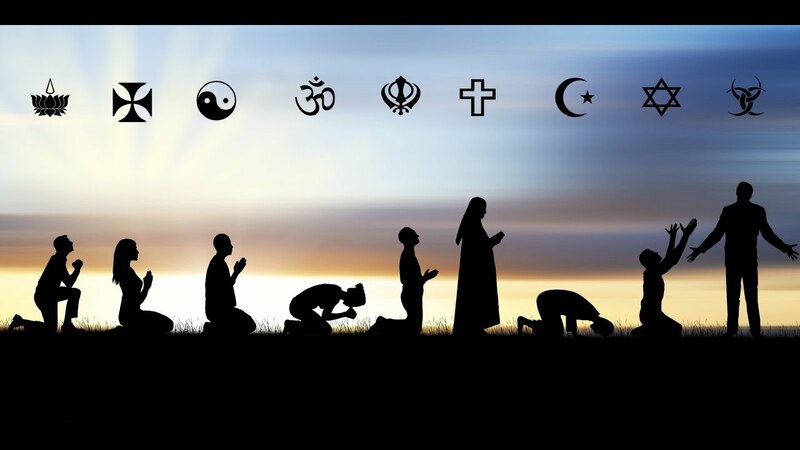 The above lines, of course, would require a detailed commentary for thorough understanding and application, however we do get broad guidelines on how to view different religions. Here is the link for the full transcription published in BTG magazine in 1976, done by HG Gopiparanadhana Prabhuji, called The Nectarean Teachings of Sri Caitanya. All glories to Srila Bhaktivinoda Thakura.